Gourmet, the Magazine of Good Living was put to rest last year by publisher Condé Nast, but like a soufflé softly rising from having fallen, it lives again. In digital form. 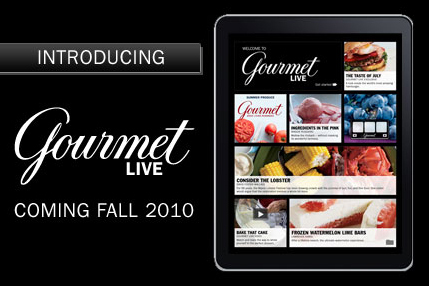 Designed for tablet devices, Gourmet Live promises to be a modern rethinking of the classic magazine. With video clips, slide shows and social interactivity features, the new Gourmet looks forward to the future, while drawing on the experience of being the first magazine (1941) in the U.S. dedicated to food and wine.